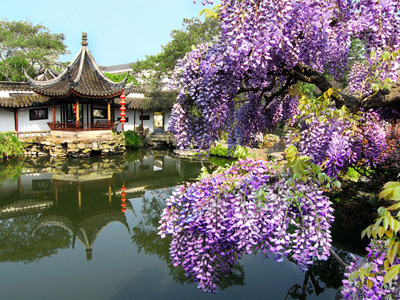 Gardens of China will explore the rich legacy of Chinese gardens with a concentration on the gardens of Suzhou and the surrounding region. The talk will conclude with examples of contemporary Chinese gardens and landscapes that extend this garden heritage into current work by landscape architects in China. Ron Henderson, Fellow of the American Society of Landscape Architects (FASLA), is Professor and Director of the Master of Landscape Architecture Program at Illinois Institute of Technology and Founding Principal of L+A Landscape Architecture in Newport, Rhode Island. From 2005-2011, he was Professor of Landscape Architecture at Tsinghua University in Beijing. He is the author of The Gardens of Suzhou, which was published in 2012. Cosponsored with FRED (Frederick Law Olmsted in Riverside Education and Design).